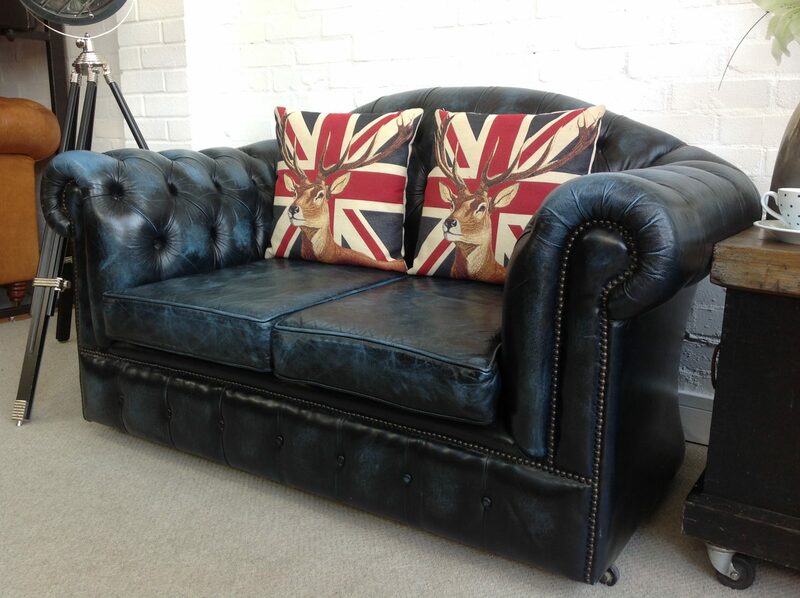 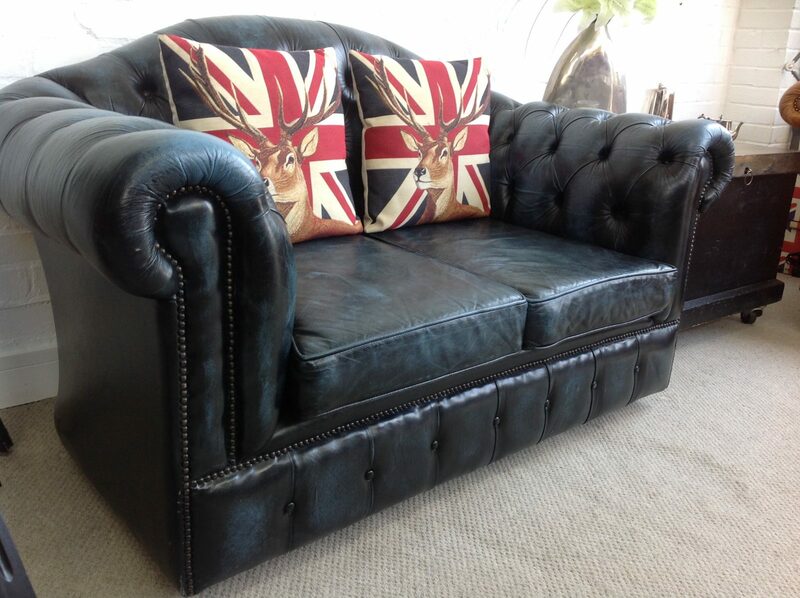 Petite Blue Camelback 2 Seater chesterfield Sofa. 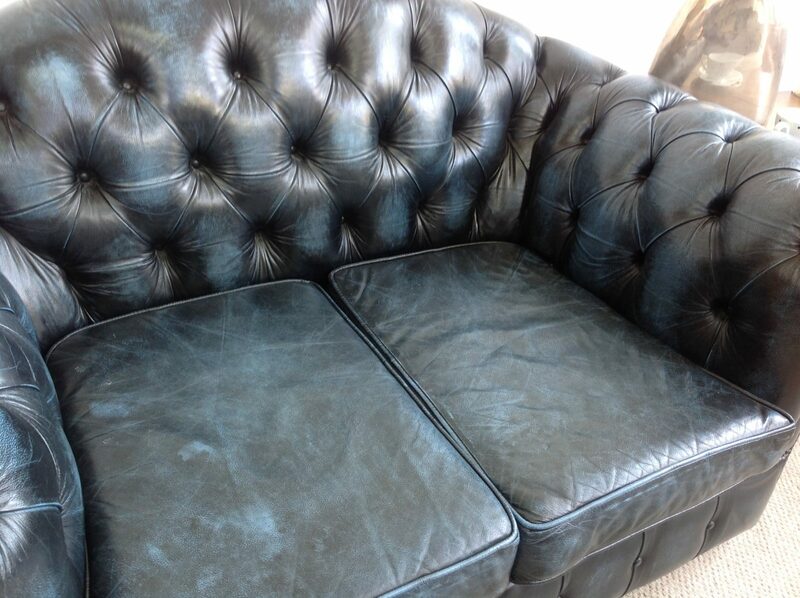 Enquiry about Petite Blue Camelback 2 Seater chesterfield Sofa. 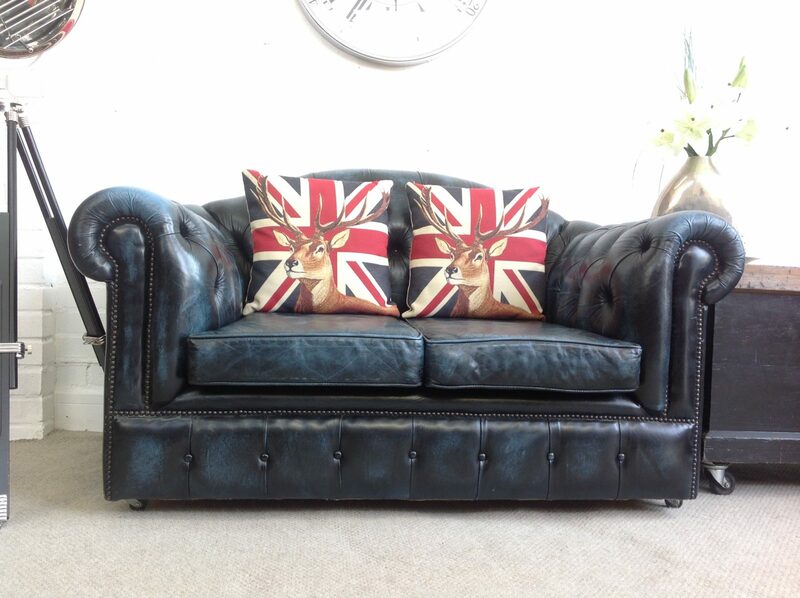 This lovely petite camelback 2 seater leather chesterfield sofa is in excellent condition and is finished in a dark Antique Blue.